Announcing the New TeachersConnect Homepage! The brand new TeachersConnect home page brings the resources, advice, questions, and discussions that matter to you into one awesome page. See resources, updates, and latest questions from all of your communities when you scroll down the homepage. See more posts from each community when you scroll sideways. Learn about the topics and resources trending in the teacher world in the new “popular posts” section of the community. Or, help us make sure every question gets a thoughtful answer by scrolling through the unanswered questions! You can still see all of the resources and members of each community by clicking “view all” or navigating to a community from the communities menu. 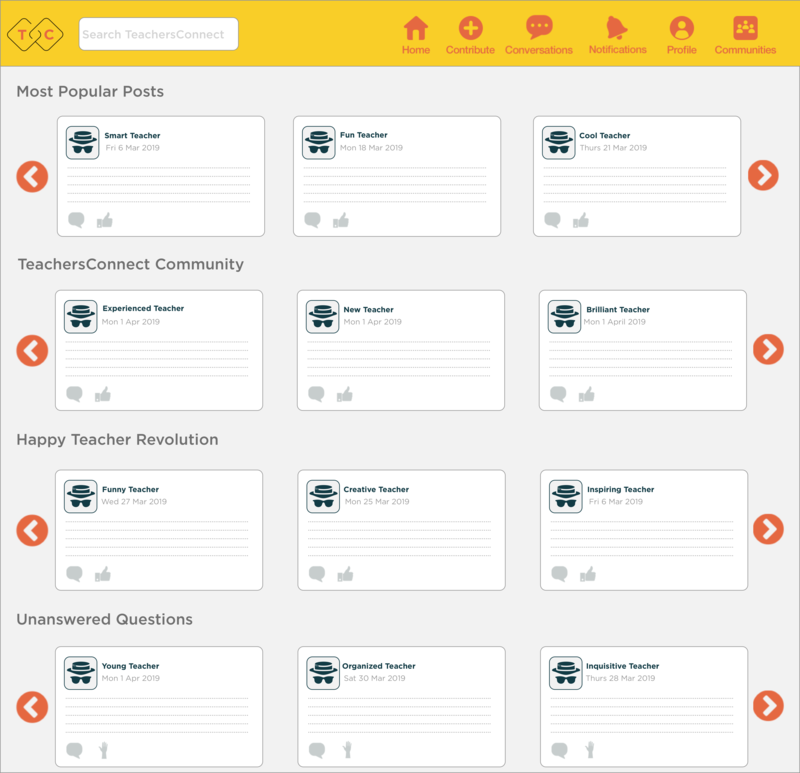 Visit TeachersConnect today to see what’s trending, join a new community, or ask a great question. The Community Built by Teachers has never been stronger.